I love turkey hunting. It will be part of my Spring routine until I can’t walk and when my trigger finger is too weak to set off a shell. Turkey hunting is the one hunt that a kid or an octogenarian can hunt with success regularly; there is no magical formula; when it works, it works, and when it doesn’t, there are still great sights and sounds of spending a spring morning in the timber. There are three different aspects of the hunt which must come together consistently to score on the long beards. If you don’t understand and implement each part well, there will be a lack of consistency. Create a rhythm and philosophy about your style of hunting that works for you. Your philosophy supersedes your calling ability; your approach to turkey dictates the level of success. I have shot a turkey in the first ten minutes of the hunt, and I have hunted for four straight days without hearing a gobble. You might think you have all the right gear and your calls sound terrific, but turkeys don’t always react immediately or as you would expect. When they’re hot, they’re hot, but when they’re not, it easy to give up and go home too early. Don’t give up on a favorite spot just because of a silent day or two. Persevere through the dry days. When you have plenty of time, you can be more patient. When I try to hunt and work my day job, I rush and push the hunt too fast and too hard. It is tempting to try to seal the deal in the first two hours instead of letting the hunt unfold more naturally. 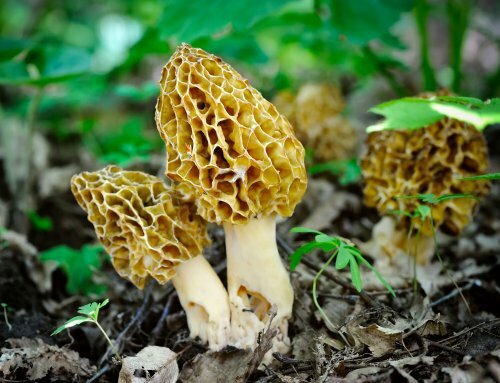 Be willing to roll over and take a nap for an hour or get up from your spot and look for mushrooms. The very first thing I do when I set up is to take every call out of my vest and have them laid near me. The last thing I want to do is rummage through my vest looking for the slate or my box full of mouth calls with a tom hollering nearby. I use my range finder and identify distances to different landmarks; I need to know where I can’t shoot; big toms look closer than they are when the excitement climaxes before the shot. Never approach a new set up casually; you must anticipate several scenarios playing out for you. Believe every set up has a turkey just over the ridge edge which could be on you silently before you have all equipment ready to shoot. What worked yesterday may not work tomorrow. Experiment with a different set up as the day passes. Start with a set up deeper into the timber and close to a roosting area, but move along to field edges for the nine o’clock feeding. 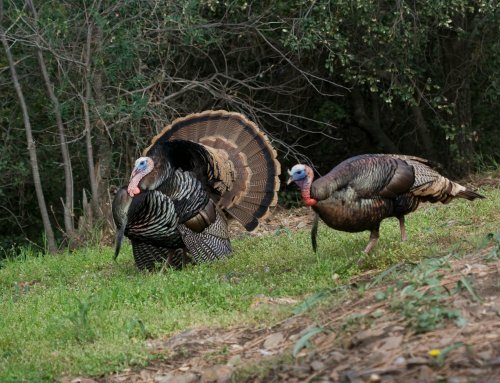 Turkeys have a routine that takes them from the timber to the fields and then back to the roosting area by evening. In my younger years, I liked the run and gun method for covering several different ravines during the afternoon; by standing at the head of a ravine and calling, I could arouse even the sleepiest gobbler to gobble back. In most cases of life and work, I promote hustle. With turkey hunting, I promote NOT being in a hurry to head to the timber in the dark. 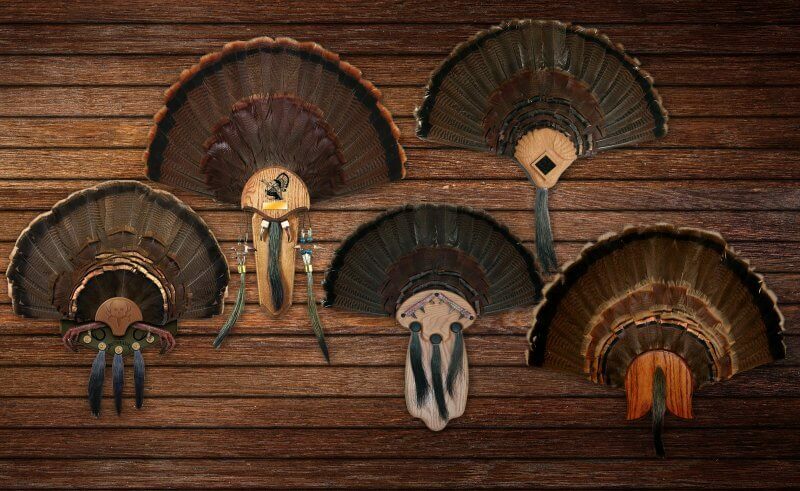 If I could remember the last 50 turkeys I have shot, I shot only two before 8 a.m. The other 48 I shot with the sun shining brightly, the grass is dry, and me having had a good breakfast before the hunt. I like to get to the timber by nine rather than 5:30 a.m. And, if there is no action, after I make a few loud calls, I roll over and take a mid-morning nap. Experiment with hunting at different times besides the early morning two hours. I have shot birds as late as 7 p.m. It is not enough to own equipment; consistent successful hunters know which call to use in which situations. It is easy to go online and order a vast array of calls. There are more call manufacturers today than ever before. My six-dollar Burnham Brothers box call that I started with back in 1980 still works, but I would feel nearly naked just using a box call. I carry a variety of mouth calls that can sound like a boss hen to young hens. Not all gobblers will react to a bossy old hen; sometimes a lighter pitched call will stimulate him. When I want a completely different quality of sound, my slate call fits the bill. Just as a child throwing a temper tantrum in Walmart gets a parent’s attention, so does my 10 minutes of non-stop calling. With only pausing to catch my breath, I have consistently forced a gobbler out of being quiet and reclusive. Armed with a mouth call, slate, and box calls, I carry on continuously with an attitude. It is loud, aggressive and in your face. I often use a mouth call, and a Quaker Boy Boat Paddle box call simultaneously. This stereo-sounding fake hen can pierce even the most-windy of mornings with its high volume and hen-like racket; sometimes three yelps and a cluck or purr is not enough. I am a big mouthed turkey hunter; I call loud. I set up along the edge of open fields where I can see 500 yards or more. I want my calls to penetrate the deep woods, but also boom across an open field. My loud calling fits my personality. Set up in places that fits your calling style. My brother’s style is soft and gentle; he prefers to set up on a timbered ridge right above a roosting tree. There is not much variance between today’s calls; we all have our preferences in brand names. Our loyalty to a certain brand is developed by how a call feels in our mouth, how long it will last, how much time does it take to maintain the call, and perhaps even initial cost of the call. Consistent hunters settle into just a few calls that they learn to trust. Decoys work. Period. However, don’t get cheap and try to use a decoy that belonged to your dad; today’s decoys are vibrant and realistic. The hundred dollars it takes to purchase a high-quality decoy will give you a good return on your investment. The poorly painted decoys of yesterday should be the object of target practice. Keep it simple; don’t over accessorize your arsenal to the point of ridiculous. Your equipment doesn’t finalize the hunt; your equipment allows you to get into a position to harvest a tom. Persistence and drive will provide the needed mental edge to overcome mistakes and unfilled tags. When I first began hunting, I worked ten different birds over a two-year period and screwed up on harvesting a single bird. When I finally shot the eleventh bird that I had called in, I felt the curse lifted. Had I given up and picked up golf, I would not be turkey hunting today. Mistakes are part of learning to become a consistent turkey hunter. 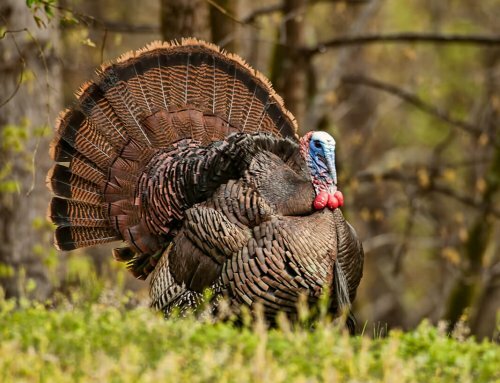 Regardless of your calling ability, your desire, or your philosophy of hunting, successful turkey hunters make sure their set up is near perfect. 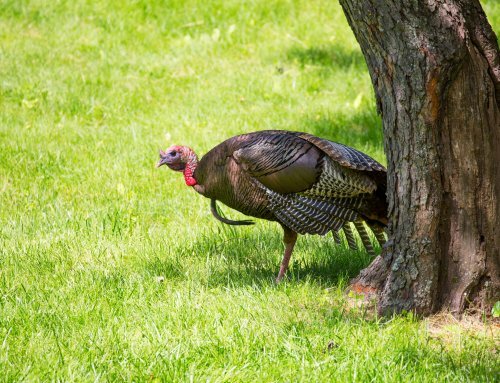 Turkeys will do their best to surprise you; overlook a brush pile, and the turkey will work his way into you only to hang up behind a pile of shot-proof tree limbs. Set up too close to a ravine edge, and all you might see is a turkey eye-ball peeping over the edge looking for the location of the soon-to-be love of his life for the day. Most setups are done quickly after hearing a hot tom; we don’t have time to cut branches and create any temporary blind. My consistent success rate is due to my preparing several calling trees before the season. I know which tree I will set under before the actual hunt. I have cleaned out any underbrush and pulled over some downfall to break up my position. Good scouting is more than just knowing there are birds in the area. 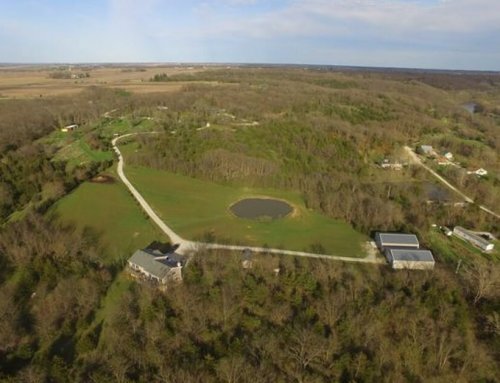 Iowa is a great state to turkey hunt. There are birds in every county. Our seasons allow a hunter to choose the number of days he can commit himself to be successful. I prefer hunting in May rather than April. Each season has its advantages; pick the one that fits your style and personality.